The Las Vegas Tourist Guides Guild in partnership with Red Rock Search & Rescue (RRSAR) is pleased to offer an intensive Basic First Aid Training Program for LVTGG members, colleagues, family, and friends. The training will take place on Monday, June 12, 2017 at 6:00 PM, details below. The cost is $30 per person, all of which will go directly to the 100% volunteer, not-for profit RRSAR to support the incredible and impressive work they do for our community, Southern Nevada, and Utah. 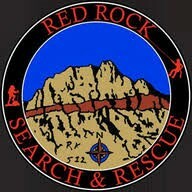 For more info on RRSAR, see www.redrocksar.org. This valuable, one-of-a-kind training has been coordinated exclusively for the Las Vegas Tourist Guides Guild, and is not offered through other CPR training workshops. We will be learning American Heart Association CPR/AED and first aid. After completing the class and brief test, class members will receive a certification card. This class is far more than your typical tabletop CPR training class! Guided by certified First Aid Instructors with years of practical experience, participants will have hands-on practice performing CPR and using the defibrillator, and also practice splinting and bleeding control. All medical supplies will be provided by RRSAR. For questions regarding the content of training, please contact Donald Moore at 702 591-4298 or by email at strummingmyguitar@gmail.com. Please dress for comfort. Jeans and a tee shirt are perfect. Donation for the class: $30.00 per person. How to pay: Please have your check, or exact cash, ready when signing in to the class. Please make checks out to Red Rock SAR. Who can attend: LVTGG Members, tour guide and other colleagues. Please also print and post on your office bulletin boards, and invite spouses and friends who want to learn how to help themselves and others in an emergency first aid situation. However, class capacity is 30 so RSVP is mandatory.